DessertTruck’s Gift Box of Goodies! Need a last minute gift? 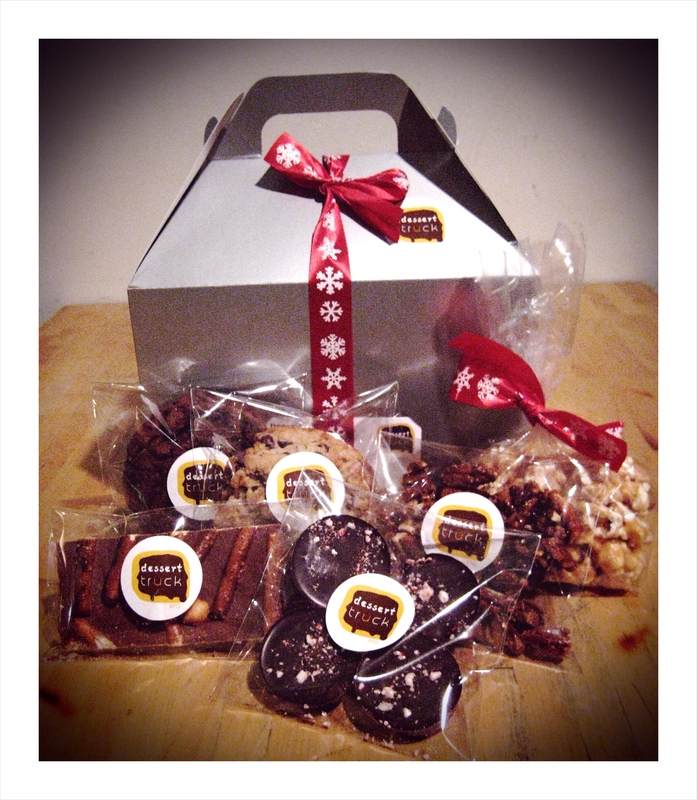 Consider our gift box of goodies! Each box has peppermint bark, 2 cookies, candied pecans, hazelnut & pretzel milk chocolate bark, caramel popcorn and pumpkin marshmallows (not pictured), all eagerly waiting to be put a smile on someone’s face! Each box is $19.99. + tax. Available only at the store. ← Special Order Holiday Desserts!